A key ignition that won’t turn can be frustrating and time consuming. Engine issues such as an ignition failing to turn are common than most car owners can imagine. There are numerous reasons as to why an ignition key won’t turn. 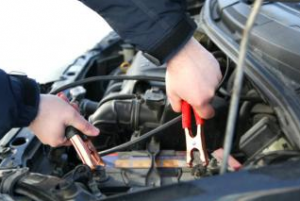 Even if you regularly take your vehicle for maintenance schedule, you can also experience car breakdown anytime. Some of the other reasons as to why your car ignition switch won’t turn may be dependent on the model of your vehicle. However, it is always good to try some approaches before asking for professional help. To determine the exact reason why the key ignition switch won’t turn, it is good for you to know how the assembly starts. When you turn the key in the ignition, the voltage in your vehicle’s battery travels to the ignition switch. The voltage then travels towards the starter relay and starter motor. The moment the start motor gets the voltage, it turns to crack up the engine. If everything is okay, that is, there is enough fuel, spark in the cylinders and compression; your car engine will start. What you should know is that there many reasons as to why your key ignition won’t turn. Before you try anything, check your parking brake is on, and then check the key itself. You can apply pressure to the key to find a spot where the key can turn. If you have an automatic transmission, make sure the selector is in P (park). Most cars will not start if the selector is in other position other than P (park) or N (neutral). It is common to overlook this when in a hurry. You can also clean and lubricate the lock cylinder to see if the switch will turn. If you are using spray cleaners, keep the car open to prevent accumulation of fumes. 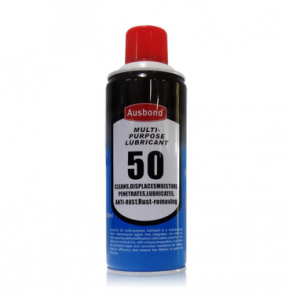 But never clean the lock cylinder with products that leave residue. Use electrical contact cleaning products since they work well on lock cylinders and do not leave residue. To identify the reason why the key ignition switch won’t turn, you need to listen closely to what will happen after turning the key. If you do not hear any sound from your car, the possible reason lies with the battery. It may be dead or corroded. If you hear a ticking noise, it is one of two things. It could be your car battery or the starter motor. If the issue is not the battery, then the issue could be the ignition system. The system may not be receiving enough voltage. Wires that connect the battery to the starter motor may be loose, thus preventing the motor from receiving any voltage. If your car engine can turn but won’t start, the first thing you should check for is a spark. It is a good idea to have a spark tester in your car all the time. If there is no spark, the issue lies with the ignition system. But if there is a spark and the problem is not yet resolved, you need to check your fuel. However, if your fuel tank has enough fuel, but still your vehicle cannot start, check the fuel pump and the pressure in the fuel line. You should also check the fuel filter and the fuel injectors. If the fuel is not the issue, then the issue can be credited to lack of compression. This can be caused by a timing belt that has gone loose. *Try turning the steering wheel to see if the problem can be fixed. *In some cars, you may need to turn the steering wheel while turning the ignition key. *Do not stress yourself too much. Keep a clear head, and if you cannot perform the above tests, call someone who can assist you through the situation. Once you have determined the reason why the key ignition switch won’t turn, you can go ahead and perform the mirror issues. However, if you have no idea on how to go about when fixing the issue, it is good to contact a reliable car repair service.